The Ligue 1 holders have failed to convince Rabiot to extend his contract beyond the summer of 2019 and it has come to the point that they are fancying a winter sale rather than losing him on a Bosman. 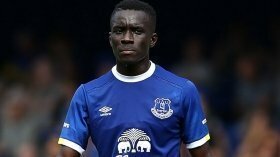 According to French publication L'Equipe, Les Parisiens are already looking into a potential replacement for the France international with Gueye among the prime targets on their radar. It is added that the club's hierarchy have already made initial contact with the Ivorian and they could step up the interest when the transfer window reopens next month. Aside from Gueye, Les Parisiens are also said to have an eye on Liverpool's Fabinho, although they are unlikely to succeed in luring him from the Reds, who are leading the Premier League title charge this campaign.